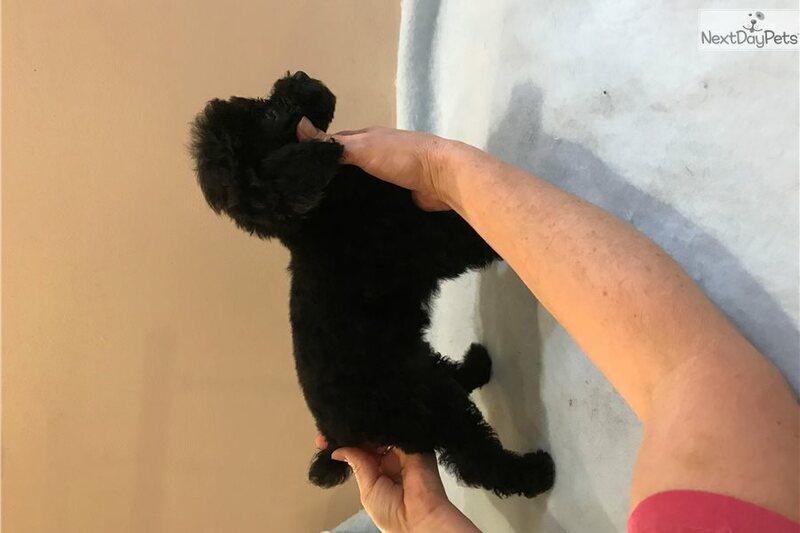 This Poodle, Miniature nicknamed Billy sold and went to a new family. Happy outgoing boy! Loves everyone! Working on litterpan training and doing well. Shots UTD, wormed, vet checked guaranteed, Delivery options available (gas/toll expenses). References and puppy contract required.